Pink Floyd will release the vinyl debut of their 2011 compilation, “A Foot In The Door: The Very Best Of Pink Floyd”, on September 28. Originally released in 2011 on CD only, the songs have been newly-mastered for vinyl by longstanding Pink Floyd associate James Guthrie, with assistance from Joel Plante. The 2-LP version features the reinstated version of “Time”, with the ringing alarm clocks at the start of the track restored, after they were omitted on the CD release. 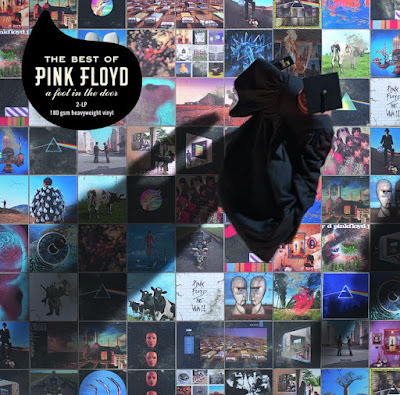 “A Foot In The Door” – which comes in a gatefold outer sleeve with two separate printed inner bags and is pressed on heavyweight 180-gram vinyl – features the last artwork for the band by long-term Floyd designer, the late Storm Thorgerson. The original sleeve design has been amended by Pink Floyd Creative Director Aubrey Powell of Hipgnosis and Peter Curzon to include alternate versions of the photographs used in the original CD version. Formed in London in 1965, Pink Floyd went on to sell more than 250 million albums worldwide, including 75 million in the US alone; the band were inducted into the Rock And Roll Hall Of Fame in 1996 and the UK Music Hall Of Fame in 2005, and released their final album, “The Endless River”, in 2014.